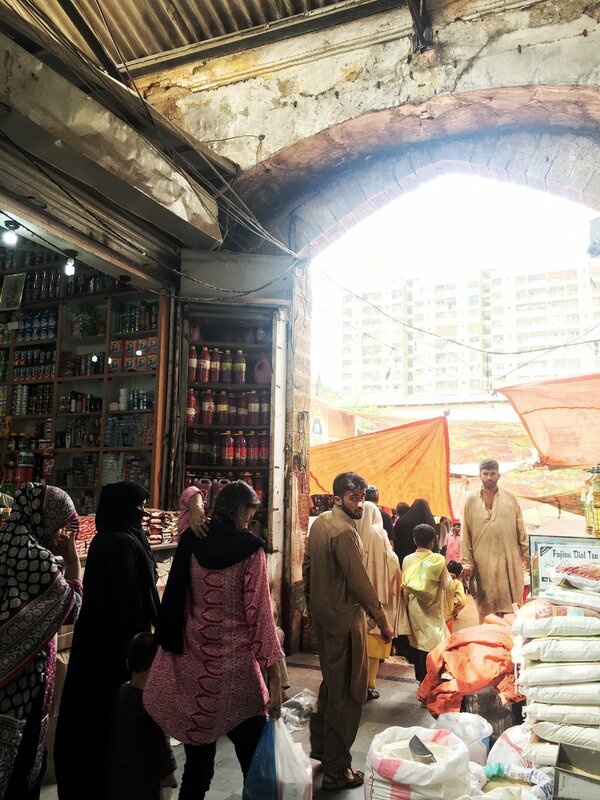 In November, I wrote about my love for Karachi and its food for TASTE. I grew up in Islamabad, and went to college in Lahore. It's only recently that I began to visit Karachi for work, and became infatuated with its chaos and grit. My quick affection for Karachi however, did not really come as a surprise. I have always had a special place in my heart for its residents. Their easy confidence, cosmopolitanism, work ethic, and no-fuss attitude have always served as an important counterweight to the provincialism I found in my hometown. I have frequently looked to my Karachi friends and family for inspiration for the blog. See gujarati aloo (potatoes), baghara baingan, and gawar sabzi. More coming! My young aunt from Karachi showed me how to prepare this mixed masoor moong dal that she learned from her Gujarati friends. The daal that I grew up eating was either green lentils (kaalee daal) or simple red lentils (masoor daal) boiled with some turmeric and red chili powder. This mixed daal has more texture and flavor, thanks to the addition of tomatoes, ginger, garlic, and onion; and generous amount of kadi pata (curry leaves). Read the full story about Karachi's diverse kitchens here, and see recipe below. Wash the masoor dal and moong dal till the water runs clear. If using whole moong dal, soak overnight. I prefer to use split moong dal, which cooks faster. Add lentils to a stockpot and add 5 cups of water. Bring to a simmer. Add crushed ginger and garlic, kadi pata, chopped onion, tomato, turmeric, and red chile powder, and green chile. Bring heat to low and cover. Let dal cook for 45 minutes to 1 hour. Once the dal is ready, begin to get the tadka ready. Heat 1 to 2 Tbsp. of canola/vegetable oil in a saucepan and add mustard seeds. Once the mustard seeds begin to pop, add cumin seeds. Once the oil becomes aromatic, add whole red chiles. After they have changed color slightly, pour the tempered oil on top of the dal.